Follow the Zips, we are just as fashionable as folks from West Virginy. 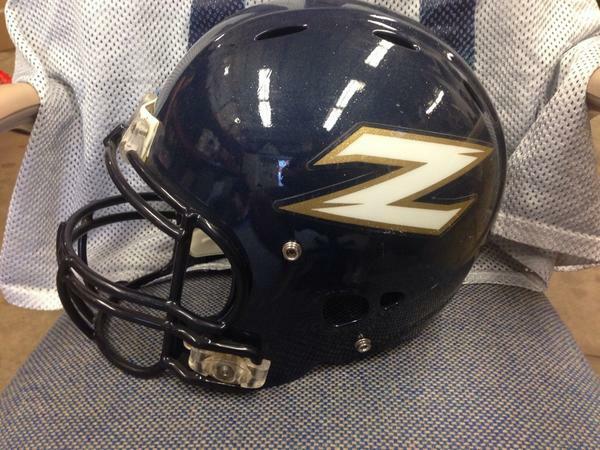 First look at the Zips in white helmets. Might take some time to get used to, but I like them. Looks like they also got new practice jerseys this year. Hopefully this means new home and aways to match the black alternates? Wouldn't mind seeing that worked into the rotation along with the white and metallic gold. Sooooo do we still have the matte gold helmets? I still don't mind those. Just white and metallic gold for this year. Hopefully they add in a matte blue next season, or if we get a nice surprise visit to a bowl this season. Having 2 helmets is common for most schools, but 3 might be pushing it for a small school like us. Really? So no traditional gold - what do they call it, "old gold" - this year? Though old gold is my all-time favorite, that's alright. We needed to shake things up a bit. As long as we never resort to yellow! Yeah most call it 'old' or 'vegas' gold. I think it was replaced with the metallic gold. They won't go back to yellow, but I do fear they may try a black helmet down the road. I don't know if anyone caught this or not but in pictures from the intro video shoot, the players were wearing white Z helmets with blue jerseys and white pants. Yup I noticed that too. Same blue jerseys and pants from last year, white helmet and Z decals from last season. My guess is the team hasn't gotten the metallic gold helmets yet. They have the helmets and the unis just saving them. I know what they are wearing the first 3 games, just not allowed to share. @Zippy_ua_00 can you confirm the possible things though? Like we have the traditional Blue, White jersey and a new black jersey this year. We have all new helmets, White, Blue? (is this really coming this year) and Chrome gold, (and we really don't have the old matte gold helmets anymore?). Pants: Gold, White, Blue? (my assumption here because we wore them last year) and now black. Is this at least along the lines of what we have available? @Zippy_ua_00: can you confirm gold jerseys, black helmets, black pants? Did they get completely new uniforms? or just reusing the old blue and whites from last few seasons? There is no blue helmet in the mix for this year. Black pants and black Jersey will be used at least once. 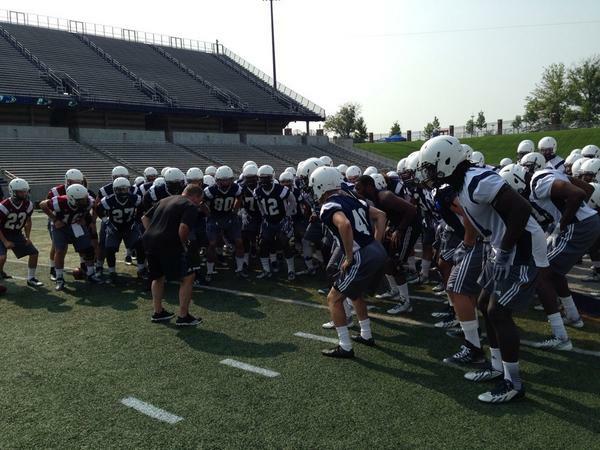 And as of right now we will be using a helmet/Jersey/pant combination to try and confuse the penn state players. If you know what psu wears that should be enough of a clue. Black pants and black Jersey will be used at least once. Nov 4th against BG, per the color of the ticket. we will be using a helmet/Jersey/pant combination to try and confuse the penn state players. I can't wait to see the solution to the obvious question. wouldn't attempting to confuse Penn St be an attempt to confuse ourselves as well..